We are slap bang in the middle of kitten season and we have more locally homeless kittens than we know what to do with. One example of this is the gorgeous Sasha who was straying in the local area with her adorable litter of 6 kittens who were approximately 1 week old. Luckily for Sasha, one of our expert kitten fosterers, Rosie, had some space available and could take them in. All the kittens, including Dexter (pictured below) have been lucky enough to find new homes. However, that is not always the case and therefore we are still pushing the message of neutering. 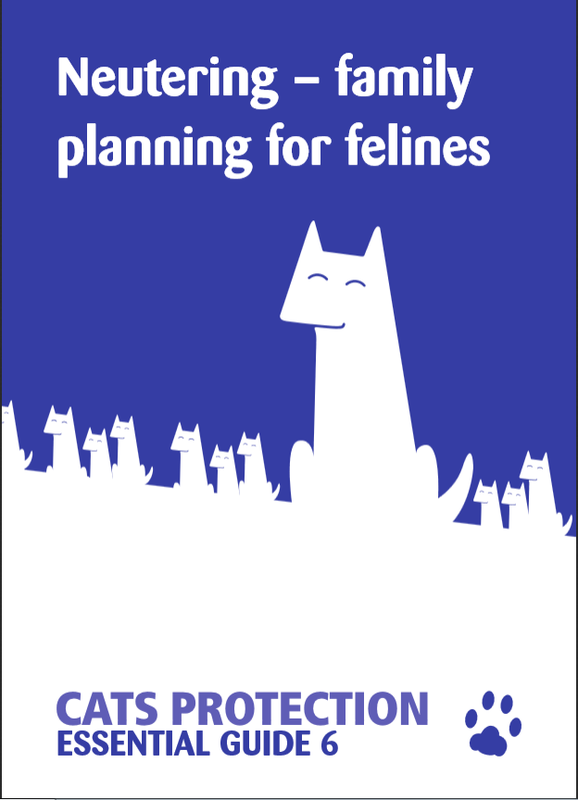 We believe that getting your cat neutered us an essential part of responsible cat ownership. From around 4 months of age, cats cat be sexually active (scary isn’t it!) so we recommend that cats are neutered at 4 months old. The procedure is very routine and poses very little risk. Your cat will need a day at the vets and will be given a general anaesthetic. Your vet will provide information about feeding beforehand as well as aftercare and recovery. As well as eradicating unwanted pregnancies it can prevent some cancers and infections, it reduces straying, fighting and spraying.